Replacement Battery Chart for all e-pill Medication Reminders & Dispensers. Simply look up the right battery in this chart. 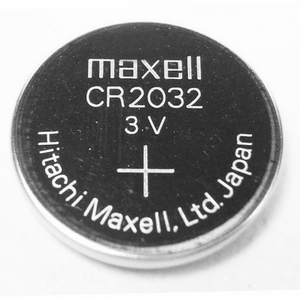 Batteries can be purchased from Hardware Store, WalMart, CVS, Walgreens, Best Buy or any electronics store. We do recommend that you have a jeweler replace the battery in your e-pill Medication Reminder watch. 7 Day Organizer & Reminder Medinizer Combo (Canvas pack, 7 Medinizer Organizers with MEDGlider 4 Alarm Reminder) (960616). 7 Day Organizer & Reminder Medinizer Combo (Canvas pack, 7 Medinizer Organizers with Multi-Alarm) (960615). 7/14 Lens Track Day Reminder (991137). ADULT MeDose Vibrating 6 Alarm Medication Reminder Watch (color:black/silver, strap: black leather) (991229). Alert Fob Reminder. Multi-Alarm with up to 6 daily alarms, Rescue medication container with Medical ID, Key-Chain, Bayer® Aspirin (412041). ALRT Key-Chain Reminder with up to 6 Daily Alarms. TWO Pack (411021). Beep 'N Tell Medication Reminder (960612). CADEX BLACK Medication Reminder & Medical ID Watch, black rubber strap complete with storage box and manual (952433). CADEX SILVER Medication Reminder & ID Watch, black rubber strap complete with storage box and manual (952431). Forget-Me-Not Automatic Voice Reminder (960529). Help-At-Hand PERS System Complete with Two Pendants (960514). Kind Remind 12/24 hr Refrigerator Magnet Medication Reminder complete with batteries (2 AA) and instructions (991125). Multi-Alarm Pill Box Timer with 37 alarms and built-in medication tray (758012). Pager Vibrating Multi-Alarm (12 Alarms) with Removable Pager Belt Clip, Leather Case including Battery, Spare Battery (2 AAA) and Operating Instructions (771085). PEDIATRIC MeDose (Red/Blue with Red Velcro Band) Vibrating 6 Alarm Medication Reminder Watch (971127). Pill Bottle Multi Alarm 3-PACK (780128). Silent 7 Day Organizer & Reminder (960617). Talking Rx complete w/ Batteries and Recording Stylus (960501). Tiffany-Style Sterling Silver Key Ring with 6 Alarm Medication Reminder (410001). Vibrating Count-Down Timer & Alarm w/ Belt Clip (770082). Healthwatch Home Programming Kit (990826). MEDALARM Micro Medication Computer complete w/ battery (954006). MEDGlider Pill Organizer & 4 Alarm Reminder (beep/voice/light) System, complete w/ 7 daily pill cases, plastic tray, manual, 2 AA batteries (960607). Med-Time Automatic Medication Dispenser, incl 2 medication trays, 2 keys, batteries, day/time discs (2), prescription card and manual (991019). Shake Awake Vibrating Alarm Clock complete with batteries (2 x AA, 1 x AAA) (960418). Timex USB Black Watch Ironman (953722). Timex USB SILVER Watch Ironman (953722). WatchMinder Vibrating Text Multi Alarm Large Watch (952233).